Josh Newman, a Democratic state senator from Fullerton, was in a bitter mood when he rose on the Senate floor last week—for good reason. Six days earlier, voters in his district had decided overwhelmingly to recall him after just 18 months in office, persuaded by a tsunami of Republican allegations that he had betrayed them by helping to pass a hefty increase in gas taxes and fees last year. In 2016, Newman captured a Senate seat that Republicans had long considered their own, and his election gave Democrats a two-thirds “supermajority” in the Senate. Although he was accused of providing the final vote on the gas-tax plan backed by Gov. Jerry Brown, in fact it took a vote from Anthony Cannella, a Republican senator from Modesto, to pass the measure. Democrats did all they could to protect Newman from the recall, even changing state election laws specifically to have his recall election merged with the June primary, rather than be conducted as a low-turnout special election. 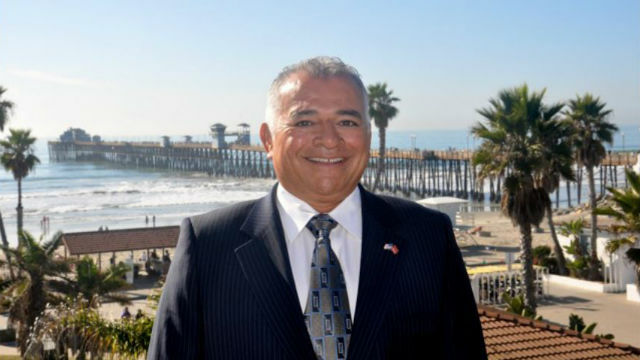 What happened to Assemblyman Rocky Chavez is still another reminder that professional politics is not a game of tiddlywinks. While Republicans were accusing Newman of betraying his district by voting with his fellow Democrats (and Cannella) to raise gas taxes, Democrats unleashed a $1 million barrage of ads and other campaign weaponry on Chavez, an Oceanside Republican, accusing him of crossing his party by voting with Democrats to reauthorize the state cap-and-trade program intended to reduce greenhouse-gas emissions. However, Chavez was widely viewed as the strongest candidate to succeed retiring Republican Congressman Darrell Issa, and the national Democratic congressional campaign apparatus wanted to take him out of the running in hopes of flipping the seat. So Democratic operatives hammered him, in messages to Republicans, as a turncoat. “On raising your taxes, he’s Rocky. Rocky Chavez promised he’d never raise taxes and would oppose wasteful spending. Then Rocky did the opposite,” said one ad by the Democratic Congressional Campaign Committee. When the Democrats’ $1 million anti-Chavez ad blitz was airing, did Jerry Brown protect him as he had pledged just months earlier? Nope. 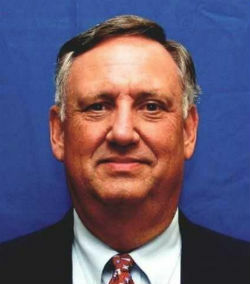 The governor was no more willing to denounce the duplicitous campaign against Chavez than Republican senators were to oppose the duplicitous recall of Newman. Chavez finished a distant sixth in the multi-candidate field, improving Democrats’ chances. The door is now open to more recalls for purely political reasons, Republicans won’t be as eager to cross the legislative aisle, and the precedent is set for more self-serving manipulation of election laws.